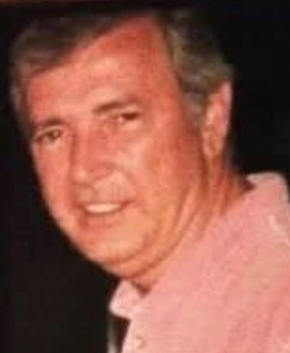 Brendan Loonam, age 72, of Fair Lawn, NJ formerly of Bronx, NY on January 17, 2019. Born on April 28, 1946 in Banagher, County Offaly, Ireland to Catherine and Thomas Loonam, he immigrated to the United States in 1956 at the age of ten. He became a proud U.S. citizen in 1968. A graduate of Iona College, he earned a Master’s Degree from The New School. He was a lifelong educator who taught grades 1-12 in private and public schools in New York. On August 4, 1974, he married Peggy Kramer and they raised two sons, Brendan (Jeanne) and Matthew (Megan) and have four grandchildren, Tinsley, James, Mae and Conor. He will be remembered for his big heart and gentle manner, his love of literature and music, his kind and comedic spirit and his devotion to family. Brendan was happiest surrounded by his two sons and their families. He loved Ireland, the Bronx, the Yankees, and being a Democrat. Brendan was predeceased in death by his parents, siblings, John, Peter, Tommy and Anne. He is survived by his wife, children, grandchildren, and his mother-in-law, Eileen Kramer, four sisters-in-law, Jeanette Sandor, Kerianne Desriderio, Kristine Kramer and Eileen Downes, many beloved nieces and nephews and a beautiful circle of dear and loyal friends. The family will receive relatives and friends Monday, January 21, 2019, 3-8 pm at Vander Plaat-Caggiano Funeral Home. A Funeral Mass is planned for Tuesday, January 22, 2019, 10 am at St. Catharine R.C. Church, 905 South Maple Avenue, Glen Rock, NJ. In lieu of flowers, donations in memory of Brendan to the MS Center at Holy Name Medical Center, 718 Teaneck Road, Teaneck, NJ 07666 or Regis High School, 55 E. 84th Street, New York, NY 10028 would be appreciated. A Beloved teacher and words with Friends master! You will be missed! May you rest in peace!